Pursued by every orchestra in the world, and adored by legions of fans, Lang Lang is the singular piano sensation of the 21st century, but his renown depends on much more than dazzling technique alone. He couples his virtuosity with a voracious appetite for musical diversity and a charismatic personality that draws listeners deep into his musical world. 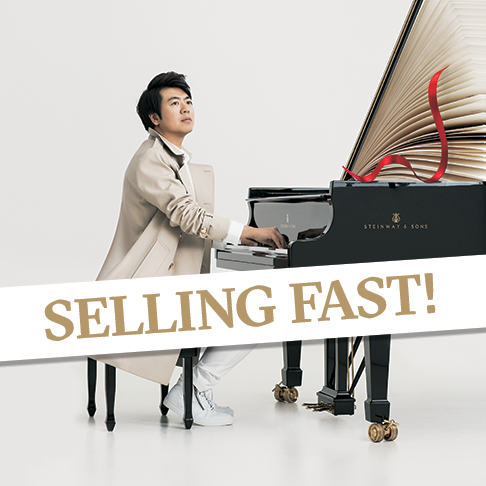 For his Melbourne audience, Lang Lang enters into the genius of Mozart, in whose music brilliance of expertise blends seamlessly with graceful charm. Mozart’s works provided the foundation for the entire development of classical music that followed, and the allure of compositions like the sparkling Piano Concerto No.24 remains timeless. The concert reaches its climax in Rachmaninov’s majestic Third Symphony, where the composer looks forward from the traditions of his Russian heritage to forge a language of luxuriant emotional expressiveness. Rachmaninov composed the work during the summers of 1935 and 1936, at his Bauhaus-styled summer home on the lake at Lucerne, where he surrounded himself with Russianness, but added the latest mod cons, including a dashing new speedboat. The combination of Russian heritage and modernist exhilaration seems to suggest something of the symphony’s musical character, where Rachmaninov explores a rich terrain of thoughts and reflections with music that is by turns vivacious, sweetly melancholic, and ultimately ecstatic. Lang Lang supported by MSO Life Members, Mr Marc Besen AC and Mrs Eva Besen AO.